The PlayStation Vita is built to last more than half a decade and is designed to confound pirates more than it confounds the average gamer, Sony's head of worldwide game development, Shuhei Yoshida, tells Kotaku. "We are designing this PS Vita to last five, six, seven, eight years," he told me in an interview in Las Vegas at the DICE gaming summit last week. "As a foundation we are very confident that what we have been able to realize is the best PlayStation ever, I dare to say." Yoshida is ready for skeptics who say the world doesn't need machines like the Vita anymore, just as he's ready for those who think the Vita will suffer the fate of the piracy-riddled PSP, which developers began to flee when consumers stopped paying money to play games on the thing. To those who say a portable machine made for gaming has no reason to exist anymore, he says that, "Unless a dedicated handheld or portable gaming system offers something unique and great that people like, there shouldn't be. "People have the final vote with their money. We are testing that theory. And we are very, very confident that what we have with PS Vita is an experience you cannot get anywhere else. We are pouring our hearts and minds and money and effort to create contents and we have a good line-up of games that we begin with the launch." And yet the PSP suffered terrible piracy at levels that a Sony executive had called "frankly sickening." Yoshida remembers this but also seems to understand why it happened. "Because I am a consumer as well, sometimes it is ironic that the piracy service was sometimes better," he admitted, acknowledging the irresistible lure of being able to download any game for a gaming machine for nothing. Sony: PSP Piracy Levels Are "Sickening"
Sony won't be giving its games away, but they are committing to making all Vita games available for download at minor discounts, for those who don't want to head to retail stores. Yoshida does think pirates will have a harder time cracking the Vita, a tougher time ruining the Vita's business plan and lifting Vita games. "I'd like to believe that with the PS Vita we are better prepared and will continue to fight against piracy," he told me. "In terms of piracy, we totally believe that was one of the reasons that the PSP support from publishers kind of slowed, because we've seen—and they've seen—lots of people playing their games and our games and not necessarily paying for them. That was a very hard lesson that we learned. "As you follow the industry, on the PS3, we've done much better. There have been hacking efforts and some response. It's a cat and mouse situation. We have been much smarter and they are really smart people, but through these experiences [we have learned a lot]." The people at Sony who made the PS3 so hard to crack did the same for the Vita, Yoshida said, and that should make the system more well-defended. One of the casualties of Sony's war on pirates was the honest gamer who had to frequently download new firmware that plugs security holes while offering drips of new functionality. Firmware updates will continue (a new Vita one had hit just a day before Yoshida and I had spoken), but Yoshida offered, they will be worth it. "I certainly hope the frequency will be less, but we cannot promise or guarantee." At launch in America, the Vita can already do many things. It played Vita games, allows for cross-game chat, supports a large number of PSP games for download. It doesn't, however play downloadable PlayStation 1 games yet. That's coming. "We've been focused on getting PSP emulation to work," Yoshida said. "It's not 100%. So we are working on that side first. Just a priority issue. 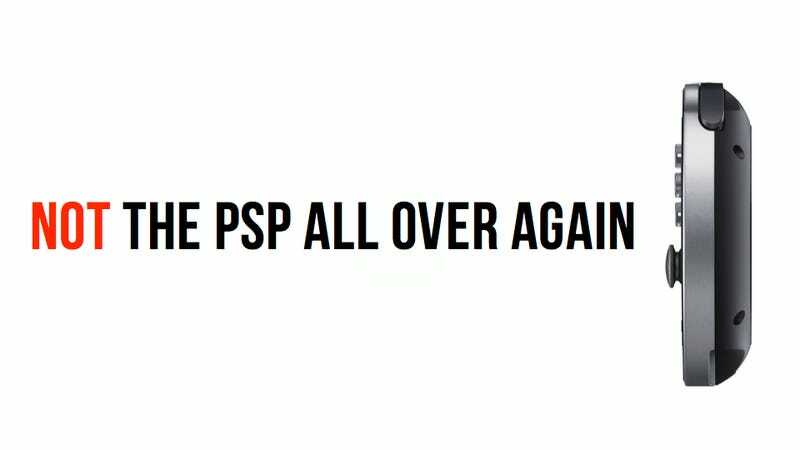 We had hoped all the PSP games, PSP PSN games, PS1 games were available at launch but it took a bit longer." Vita gamers in America won't be able to transfer their PSP disc (UMD) games to the Vita, something that Japanese gamers can do for a small fee per game. That is something Sony could offer but they've decided not to. It's not happening now or in the future, not here, just in Japan. "It's a combination of things," Yoshida explained. "Number one, demand is much stronger in Japan. When you look at the calendar, there are still lots of new PSP games coming out. And lots of new PSP games announced. So there are people who want that functionality compared to outside of Japan. The other thing is that, if you look at the library of PSP games available in the U.S., lots of games are already very cheap and affordable. "I'm not saying that everybody should buy the same game twice, but when you look at the cost of providing that system from UMD to [PlayStation Network] we are not offering that functionality for free in Japan either. We are asking for people to pay like $5 or $10 per game to add the digital copy [Note from Stephen: all the way up to $30, actually]. It doesn't come free for Japan. You still have to pay something. When you look at the price of PSP titles, great PSP games like Final Fantasy Tactics, for $9.99 it's a really good deal. "So it's a combination of somewhat limited demand and the available, affordable price of PSP titles in the States. We have decided let's not do it." While Yoshida says that more games will be added to the Vita's PSP download store, some expected fan-favorites like Final Fantasy VII: Crisis Core are not on there, leaving UMD owner out of luck (owners of Patapon 2 and Petz Hamsterz Bunch for PSP, however, can download that game.) Others, such as Persona 3, run $40. My own experiences with the Vita have been terrific so far. The system runs well, many of the launch games are good and the integration of services with hardware just might position this as one of the best PlayStations ever made. Yoshida didn't need to be in full hype mode when we chatted. He's got a good machine to sell. Now the pirates and Sony itself just have to not ruin it. The early days are promising.